Among other results, researchers have found that the mystery skulls which date back at least 2,000 years have European and Middle Eastern origins. “If these results hold,” history of the migration of people to the Americas is far more complex than we have been told previously.” Brien Foerster. The famous Paracas skulls have been hailed by many as the missing ling in mankind’s origins. Ever since they were discovered deep in the desert peninsula of Paracas, on the southern coast o Peru by Peruvian archaeologist Julio Tello in 1928, the Paracas skulls have created a stir in the scientific community. During excavations, Tello uncovered a complex and sophisticated graveyard with skeletons that would forever change history. But the mystery surrounding the enigmatic skulls did not end in 2014. 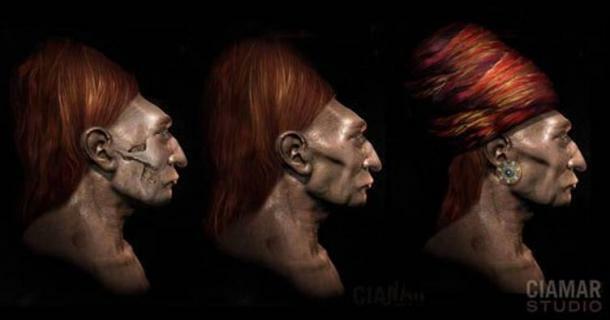 Now, a new DNA test has been completed adding more mystery to the Paracas skulls. As many have expected, the new round of tests obtained equally controversial results. Researchers have found that the mystery skulls which date back at least 2,000 years have European and Middle Eastern origins. This fact changes once again everything we knew about American history and how the American continent was populated. What are the Paracas skulls? While many people still maintain that the Paracas skulls are the result of artificial cranial deformation, laboratory results suggest otherwise. Even though most cases of skull elongation are known to be the result od head begins, or head flattering, the Paracas skulls are an exception. Head flattening (artificial cranial deformation) was achieved by binding the head between two pieces of wood, tying them together with cloth. While this was done thousands of years ago by numerous ancient cultures around the globe, the Paracas skulls are much more complicated. While head flattening alters the shape of the cranium, it does not and CANNOT alter any other features that are characteristic to the human skull. In the interview, Marzulli talks about an archaeologist who had written a paper about the study of the position of the foramen magnum in over 1000 skulls. While the absence of the sagittal suture can bi attributed to a disease known as craniosynostosis, Marzulli states that there is no evidence of this disease present in the Paracas Skulls. The fascinating results surrounding the mysterious Paracas Skulls have led many people around the globe to speculate that not only were the Paracas Skulls naturally elongated, but they belonged to an ancient species that existed on Earth thousands of years ago. The full lab reports of the NEW DNA tests are available in LA Marzulli’s book Nephilim Hybrids.